It’s Peak Bloom of the cherry blossom trees here in DC and while we’ll bring you more photos throughout the week we wanted to share this one which is out of this world! 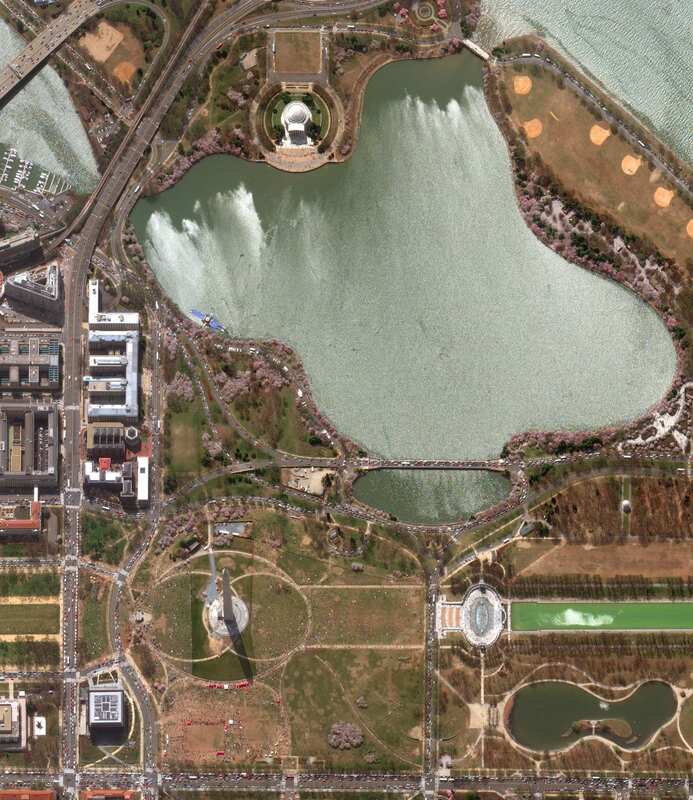 As the Washington Post reported, “Maxar Technologies, a company that captures images of the Earth from satellites, also found a good place to shoot the blossoms yesterday — nearly 400 miles above the Earth and 800 miles east of the District. The company’s WorldView-3 satellite turned and looked back toward the coast and snapped what’s known as a ‘high off-nadir’ image.” Take a look at the article to see even more blossoms from space.